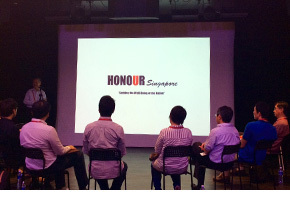 We launched Honour (Singapore) in August 2014 to promote a culture of honour and honouring for the well-being of Singapore. We believe that we must continue to honour Honour for the continued survival and success of Singapore – not only for the benefit of our generation, but for the generations to come. We would like to thank you once again for your kind support for this effort which stands above ethnic, religious and cultural lines. 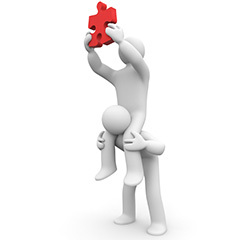 As I mentioned in my inaugural newsletter in April 2015, we are espousing a partnership approach in our outreach efforts to multiply the effectiveness of what we do, and get across the honour message through a process of “learning by doing”. In the past quarter, we have reached out to businesses and organizations, schools and educational institutions, as well as religious and community groups, to explore opportunities to inject Honour into their own programmes. I had the honour of speaking to a group of CEOs at our second CEO Forum on 22 July 2015. The forum was attended by 38 CEOs and Senior Management from various industries. I was also able to engage social commentators at a Civil Society Forum on 27 August 2015 held at 10 Square @ Orchard Central. In addition, I had the opportunity to speak to various audiences this past quarter, in particular a university college, a kindergarten leaders’ forum, and an overseas leadership symposium. Should you know of anyone that we should invite for future CEO and Civil Society Forums, please write me at LimSiongGuan@honour.sg. Engaging social commentators at a Civil Society Forum on 27 August 2015 held at 10 Square @ Orchard Central. During the past quarter, we also held our Annual General Meeting and filed our audit report, which you can read here. Our message is that Honour is important for winning in business, leadership, family, and life. In this section, I list various initiatives we are currently working on. Films: Honour (Singapore) is supporting projects by young filmmakers at Ngee Ann Polytechnic and young adult filmmakers to produce short films on various facets of Honour. We hope that we will be able to share a few of these films online by the end of this year. Honour International Symposium: We are organizing an international symposium in 2016 to bring together local and international participants who are leaders in business, government, and community groups to discuss and share ideas on the application of honour and honouring for successful business, stable homes, and strong nations. If you are a CEO or a C-suite Executive and are interested to attend the Honour International Symposium, please get in touch with me at LimSiongGuan@honour.sg. Toolkit: We are also working on an Honour Toolkit to share with interested organizations material they can use to inject Honour into their own training programmes. We expect to launch the toolkit by the end of 1Q 2016. Talks: I continue to speak, on an invitation-only basis, on the subject of Honour and leadership, at schools, companies, and community groups to share how they can contribute to the well-being of our nation, and best position themselves for the continued success and survival of our society. Honour Champions and Honour Ambassadors: We continue to seek Honour Champions to collaborate where we can, and Honour Ambassadors to advocate Honour in our society and nation. Thank you very much once again for honouring us by placing your trust and faith in us. We have a lot of things that we would like to do to contribute to the well-being of our nation, but we are a small team that are making small and steady steps. We would like to thank you for your patience and continued support as you journey with us. I would be very happy to hear from you what more and what better we should do. Please write me at LimSiongGuan@honour.sg anytime!